In popular culture, Marie Antoinette is very well-known for being the Queen who was beheaded by her people. She is also portrayed as having her own tidy collection of male admirers. One such man considered himself above the rest -Count Axel von Fersen was a friend to the royal family, soldier, diplomat, and bodyguard. He served his queen in many ways, but considered himself her one true love and considered her his own true love. This does not, however, mean that he remained faithful to the queen during the long separations caused by politics of the time period stretching over years, through her crowning, the American Revolution, and later, the revolution of her own country. Faithful or not, however, he always returned and he always supported her in every situation. 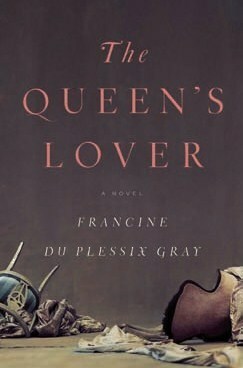 This unique novel has taken the story of Marie Antoinette and put it into the eyes and mouth of her lover, giving you a perspective that feels exclusive and personal, without idealizing the woman or her behavior in any way. More than anything, the novel discusses the politics of the world during the life span of Marie Antoinette and the period following her overthrow. This is NOT a bodice-ripper, although it has its share of scandal. If you like historical romance more than you like HISTORY, then don’t bother with this one. If you want to learn more about the events leading up to and following the death of Marie Antoinette, however, this novel will be very interesting for you. Give it a try and see what you think! Thanks for this, I need some books to read! I confess my only knowledge of Marie Antoinette is from the film with Kirsten Dunst in. Maybe this book will give me some more interesting information about her life.